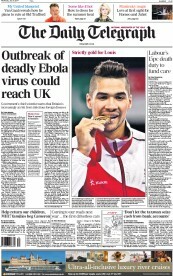 We have to accept that it is probable that a small number of cases of Ebola will arrive in the UK. The key question is could we detect such cases, and how well prepared are we to deal with them. And the answer to both questions is encouraging. 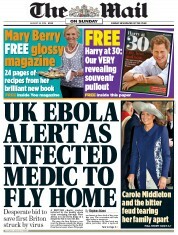 Every week in the UK a group of experts discuss cases of travellers returning with undiagnosed fevers. This is part of the “Imported Fever Service”, which has run for more than two years. 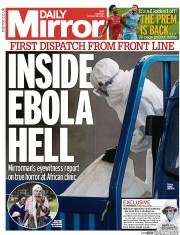 We look at where people have come from, what tests have been done, and consider whether they might have Ebola. So anyone returning from Africa with an undiagnosed fever is likely to be detected soon after coming to medical attention. 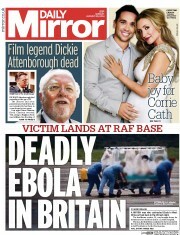 Thursday 9 October A British man who has died in Macedonia may have been suffering from Ebola. 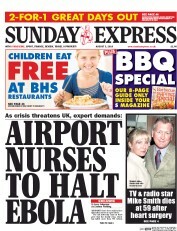 A man who died in Texas definitely had it, as does a nurse who is in isolation in Madrid. These three cases are proof that the virus is out of control, that Western governments have been negligent, slow-footed and complacent. 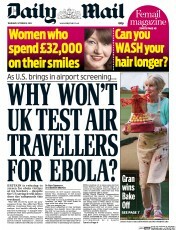 Thank goodness we have the Daily Mail to put matters right. 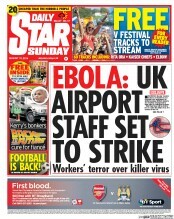 This morning it ran a splash demanding “Why won’t UK test air travellers for Ebola?” By mid-afternoon the Government had agreed to temperature checks on people arriving at Heathrow, Gatwick and on Eurostar. All hail the power of the Press. Unfortunately, the might of the media, the baying of the mob and a 300,000-signature petition were unable to save the Spanish nurse’s dog Excalibur from the euthanasia needle, but you can’t win them all. These are the issues that matter: keep infected foreigners out of our country and protect dogs at all costs. 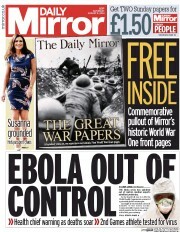 Ebola is a very nasty virus that kills the vast majority of sufferers. It thrives in areas where health services are limited and is containable in areas where health services are good. The chances are that come cases will crop up in Britain and even that someone may die – with or without immigration officials pointing thermometer guns at everyone heading for the baggage reclaim. The chances of the virus catching hold in any Western country and turning into a “killer epidemic” are almost non-existent. 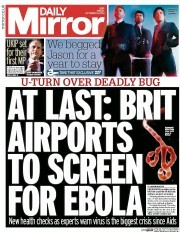 You would be hard pushed to find an expert to agree that the sort of airport screening being introduced in America and now in Britain will have any medical effect. President Obama knows it; David Cameron knows it. 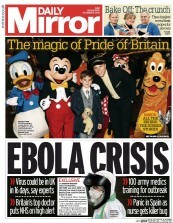 These measures are exercises in calming the masses; an attempt to limit the panic generated by media scaremongers. 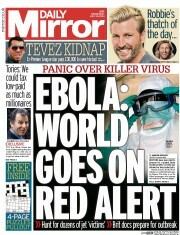 On March 24 this year Reuters reported that fifty deaths in Guinea had been confirmed as having been caused by Ebola. The story made a filler at best on the foreign pages of our newspapers or their websites. 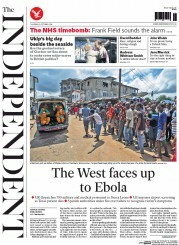 A couple of cases were also reported in neighbouring Liberia. By May people were dying in Sierra Leone and by the following month 350 people had died, making it the worst Ebola outbreak on record. The story made occasional appearances on television news bulletins, but was still confined to the foreign pages of the “serious” papers. 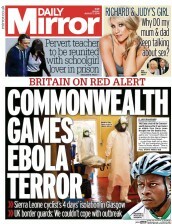 It was not until the end of July that the outbreak made its first appearance on British front pages, and the central concern was not for the African countries struggling to deal with the epidemic, but for the home population and the Commonwealth Games. 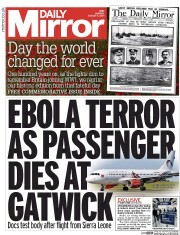 Only the Mirror has shown a sustained interest in the disease, although it has at times been over-sensational - most notably in splashing on the death of a woman at Gatwick in August that had nothing to do with Ebola. 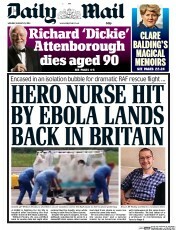 The repatriation and treatment of the British volunteer health worker William Pooley (above at the Ebola conference last week) caused more papers to elevate the story in August, and the photographs of him leaving hospital gave the necessary reassurance to consign the issue back to the foreign pages – or to forget about it altogether. Ebola is spread by direct physical contact with infected bodily fluids, making it less transmissible than an airborne disease such as tuberculosis. A functioning health system can stop Ebola transmission and, we believe, save the lives of a majority of those who are afflicted. 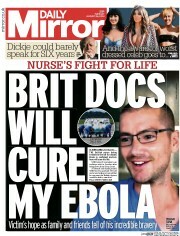 So why isn’t this happening in West Africa, where more than 1,500 people have already died? As international groups pull staff from the three countries, airlines suspend commercial flights and neighbouring countries close their borders, some have argued that it will be next to impossible to contain the outbreak — that public health systems are too weak, the cost of providing effective care too high and health workers too scarce. To halt this epidemic, we need an emergency response that is equal to the challenge. We need international organizations and wealthy countries that possess the required resources and knowledge to step forward and partner with West African governments to mount a serious, co-ordinated response as laid out in the World Health Organisation’s Ebola response roadmap. The authors, both doctors specialising in infectious diseases, couldn’t have put it more plainly. But their plea was not dramatic enough to make the British newspapers, although the Independent did run a top nib on a WHO appeal the next day. 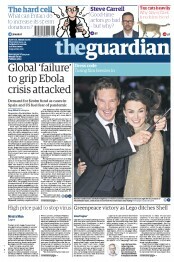 What a difference a couple of Western cases makes, even to such socially aware newspapers as the Guardian. 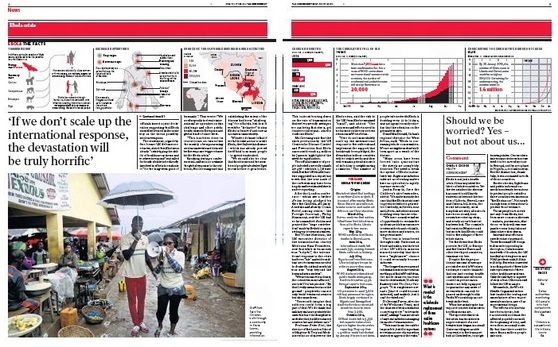 For today the paper splashes on an interview with the same Jim Yong Kim. The West has, slowly, been raising its game. Troops with the ability to build facilities quickly and efficiently have been despatched, supplies and equipment have been flown out. Two weeks ago President Obama told the UN that a health worker in Sierra Leone had compared fighting the outbreak to fighting a forest fire with spray bottles. Now the world could count on America to help to put out the blaze. All this activity a mere six months after the report of the first fifty cases in Guinea. Unfortunately even this declaration of intent, coupled with further contributions from Britain, did not trouble most of our newspapers. For it coincided not only with the Commons vote to send half a dozen old planes to bomb bits of Iraq but also with the Italian nuptials of George Clooney and Amal Alamuddin. 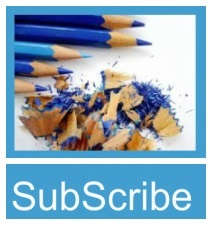 There’s only so much foreign news a reader will tolerate – especially on a Saturday. 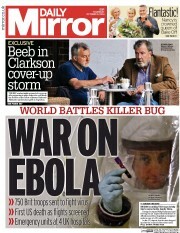 A few days later a conference on the outbreak was held in London. Finally, a British newspaper propelled the story onto its front page in a serious, rather than self-interested, scaremongering fashion. 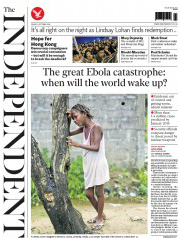 The Independent led on the trajectory of the disease, continuing the story inside with three further pages and a leader. 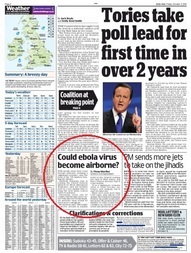 Even then, however, other papers showed scant concern, with the Telegraph and Mail both picking up on the same line – the fear that the virus could mutate and become airborne. 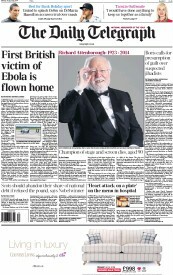 That warranted a foreign page lead in the Telegraph and a small page 2 double in the Mail. This week the case of the Spanish nurse has changed everything. 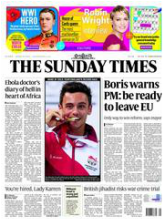 Suddenly a disease that had by now killed nearly 3,500 people in Africa was of interest because a European woman who had not been to the continent was ill – and, what’s more, her dog had been put down. It’s good to know that we have our priorities in order. An interesting side issue in all of this is the question of overseas aid. What these West African nations needed more than anything was rapid help in bolstering their health services; if they had received that, the outbreak might well have been contained. This spring we learnt that Britain had achieved its target of devoting 0.7% of national income to overseas aid, with spending last year increased by 30% to £11.2bn. 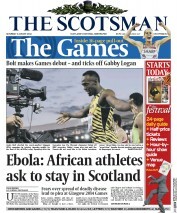 In 2012, Guinea received £1.64m (most of it going towards debt relief), Liberia £8.6m and Sierra Leone £63.8m. The three would also have received further British through the EU. 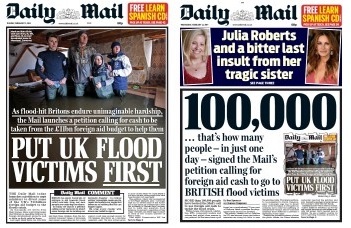 The increase in the total overseas aid spend has not gone down well with some newspapers. When the Somerset Levels were flooded in February, the Mail demanded that some of this fund – rather than some of the other 99.3% of the national budget – be diverted to help those affected. Within 24 hours, it was claiming 100,000 signatures backing the idea, which was robustly rejected by the Government. Last month the International Development Committee published a report on progress in Sierra Leone and Liberia since the end of their civil wars. It expressed dismay that direct British aid for the two countries was expected to be cut as part of a general reduction in bilateral aid for Africa. This was, the committee was told, the effect of demands on the budget from elsewhere, notably Syria. The committee also noted that of nearly £60m of EU health sector aid to Liberia, less than £4m had been passed on by the country's finance ministry to the health department. This committee report has since been rendered to suggest that budget cuts yet to be implemented are somehow to blame for the spread of Ebola. That is not only absurd, but it deflects from the more important issue of the diversion of EU funds that should have gone to improve Liberia's health services. Even where that concern was raised, it was in the context of the misuse of “our” money - and hence as an argument not to give it in the first place – rather than to ask where it was spent, what benefit the Liberians derived from it and whether they had been cheated by their Government. But that’s not the way we work, is it? We care about what happens in Africa only when it impinges on our own comfortable existence. Not all of Africa is growing at the same pace and in the same way, which explains why Ebola has moved so quickly in countries which have nothing resembling a decent healthcare system. But their story is not Africa’s story. The continent is making more progress against its the main killers than at any point time in modern history, so it can realistically look forward not just for to end of Aids, but to end of poverty as we know it today. The Ebola tragedy is a setback in a greater war against disease and poverty – but it is a war which Africans are steadily winning.